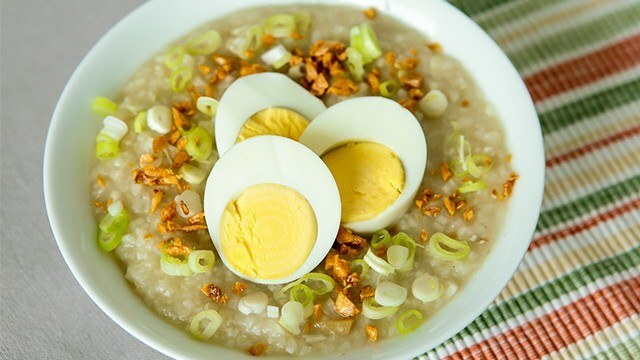 Tofu, or tokwa, goes through a few stages before it becomes the tofu we know: a white, firm textured block of soy bean curds that is served with our lugaw, goto, and arroz caldo. 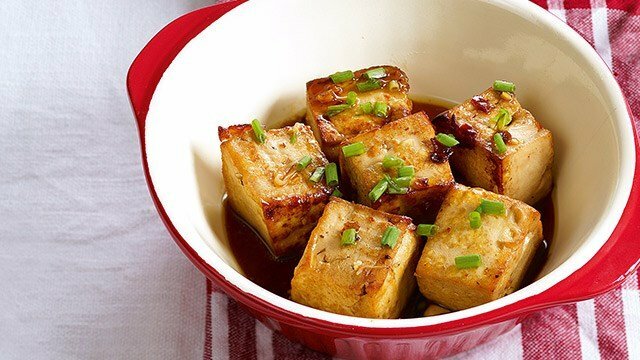 While the most commonly used variety of tofu is this firm one, there is another variety of tofu that is just as delicious to eat as this more familiar version. The softer, almost gelatin-like texture of the silken, or soft tofu, is basically taho (a Filipino snack made with silken tofu, tapioca pearls or sago, and a sugar syrup). The packaged variety is usually whiter, more processed than the kind peddled on the streets but it’s no less just as a silky as the other. 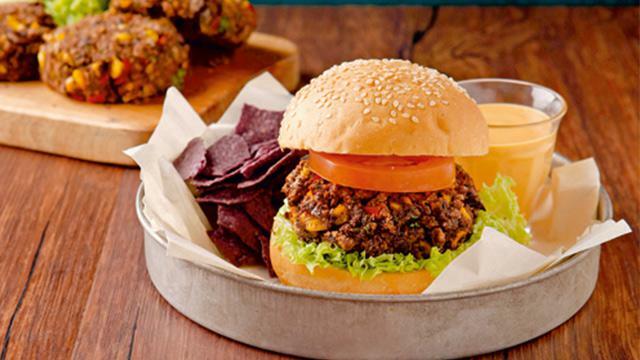 It can be used in savory dishes, as in its more familiar sweet treatment, when prepared in recipes that maximize the texture and flavor that it enhances. Soft tofu when cooked is usually just heated through before being added as chunks to a hot broth like miso soup, chopped and crumbled as in mapo tofu, or blended until the silken mixture is mixed with other ingredients to make a sauce or a smoothie-like drink. 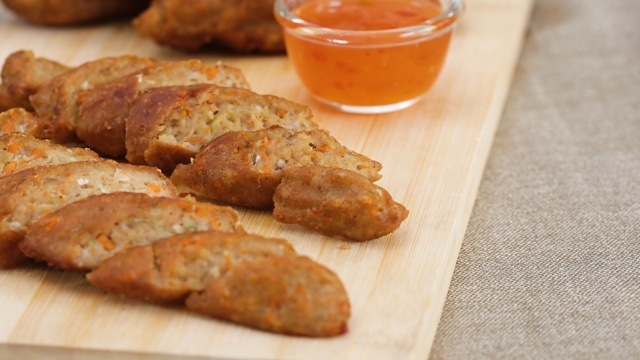 It’s this ability to blend in and become a complement to other ingredients while maintaining its own taste and texture that makes it an ideal addition to many dishes. 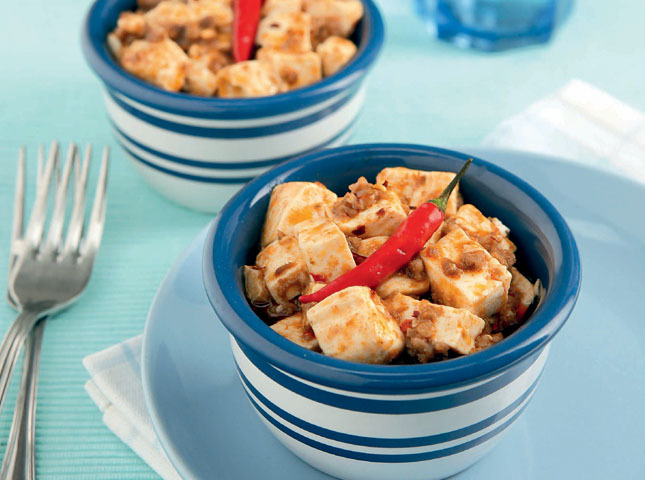 The most familiar of Chinese dishes that use soft tofu is this savory taho-like dish. 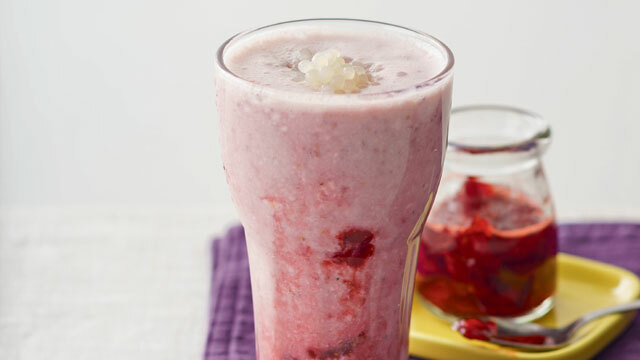 Much like taho, the silken tofu crumbles under the stirring and the other ingredients added to the mix. 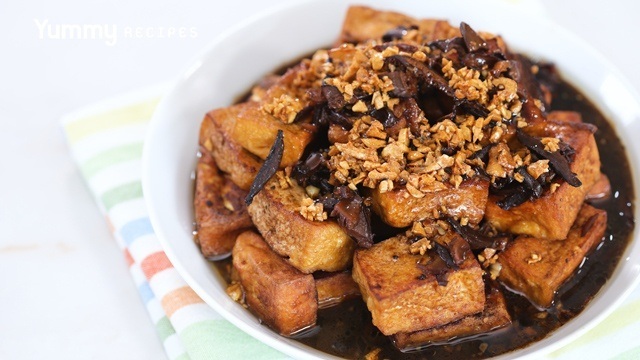 The entire dish is flavored with a savory, umami-packed sauce that not only complements the overall flavors of the dish, it allows the tofu to stand out and remain the star. Don't be fooled by the light, soft, silken tofu bits because this is a satisfyingly hot, spicy dish. Tofu is notorious for being bland, but that’s probably because it wasn’t seasoned enough. Tofu when done right carries and even absorbs the flavors around it, so there’s no reason why it can't be flavorful. This recipe takes care of that issue and allows the tofu to sit in a flavorful liquid that makes the dis a flavorful one. So simple and easy!  Make extra vinaigrette to dress cooked pork, chicken, beef, or fish. Have it after the salad course, with rice. Taho is peddled every morning in many neighborhoods with the requisite palm sugar syrup (arnibal) and the tapioca pearls (sago), but there’s no law that you can’t have it with other flavorings or used in another way that’s just as delicious. The mango may be more synonymous with these summer days but the strawberry is just as popular a flavor and just as delicious. 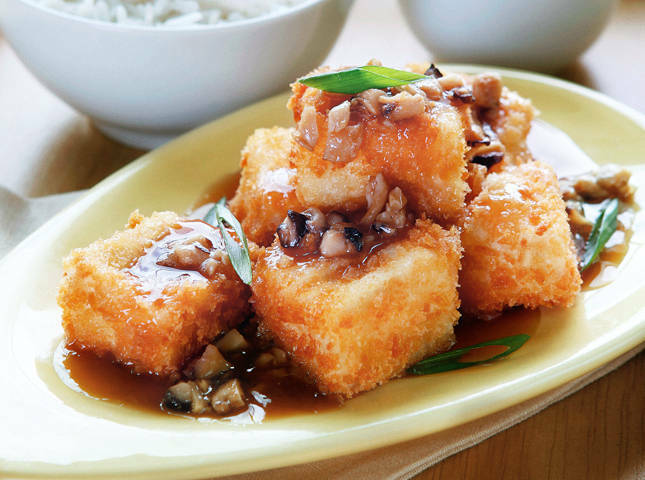 The texture of soft tofu is so silky, it can become the smoothest sauce. 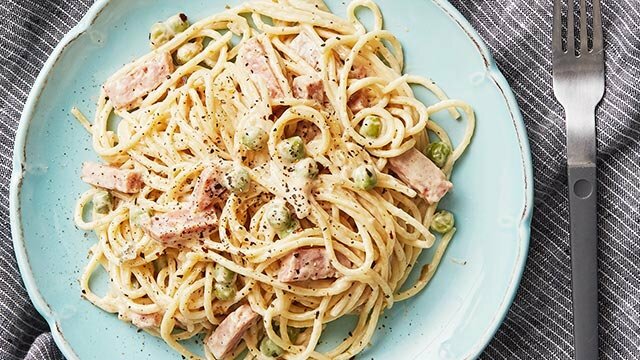 Vegetarians will love that mayonnaise made from the silken tofu can be blended together with other ingredients to mimic the texture and relative taste of the creamy emulsion. 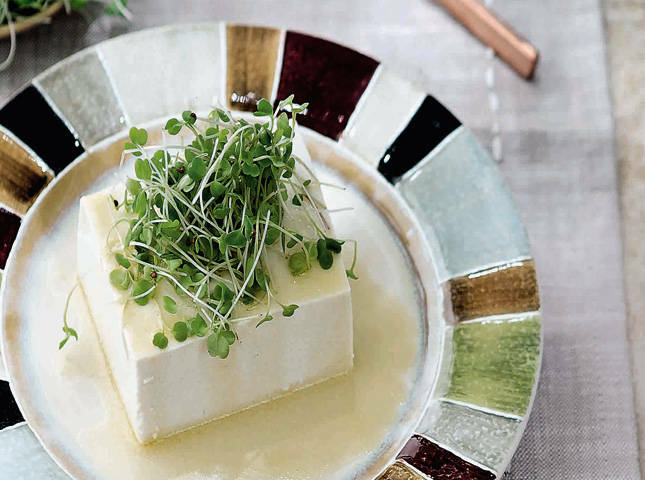 Take a chance this weekend and grab a pack of this silky tofu to use in any of these dishes. You'll be surprised how versatile it can be when you learn just how easy it is to use.